We congratulate both MK Council and Mr. Winkleman on this latest development and look forward to MK Dons achieving their original goal of building their Academy within Milton Keynes. With regards to Cosgrove Fields, we recognise that the land is still owned by Mr. Winkleman and that he has invested a great deal of time, money and effort in this land, which logically he will look to recoup in order to assist finance the Tickford development. To this end, we will continue our efforts to ensure the Cosgrove Fields remain as they are - an area of great beauty to be shared by walkers, runners, and dog owners alike. A big thank you to the residents of Wolverton who organised yesterday's Opposition Walk and to all those (50+ people) who joined the walk, from wide-ranging areas of Milton Keynes and Northants. 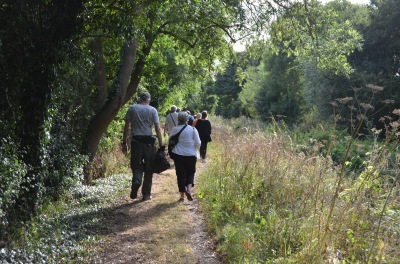 The impassioned Wolverton residents gave us insight into the abundance of endangered wildlife that this land supports, as well as a detailed history of the local area. Along with the beauty of the countryside on a summers evening, this really demonstrated why this area of beauty is so unsuitable for the large scale development proposed. Cosgrove residents have organised a walk to explain to everyone why the area under threat should be protected. 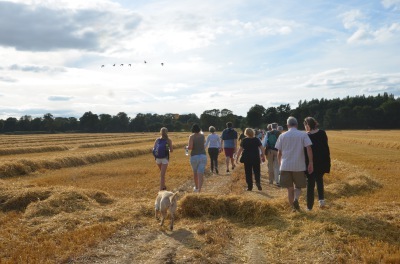 The walk will demonstrate why this beautiful area, close to two nature reserves and the remains of a mediaeval village, is a completely unsuitable site for the planned football academy. Please join to show your support. Meet in the car park at the Stratford Road end of Watermill Lane, Wolverton Mill at 5pm on 13.8. See for yourself why we need to protect this area, and join our fight. Thank you for your support. GOOD NEWS! - A decision has been made by South Northants Council that an Environmental Impact Assessment (EIA) IS needed for this development. Given the inappropriate location of this proposed development, this is absolutely justified to ensure our countryside, wildlife and heritage is protected. Heartfelt thanks to everyone who supported the need for an EIA, and thank you to the desicion makers. A screening application has now been submitted to South Northants Council by MK Dons. It is important to understand their objective and to explain how you are able to respond. Below is some useful information to help you lodge your comments on the SNC planning portal, by the deadline of 17th June. 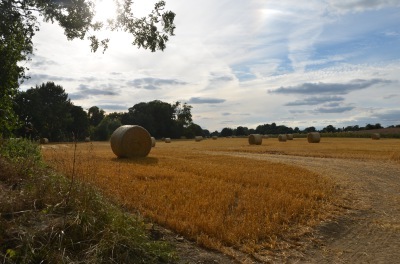 This application is a request for an opinion from South Northants District Council as to whether or not a formal Environmental Impact Assessment (EIA) is required before submitting their formal planning application. An EIA is a detailed assessment of the impact on the environment and requires time, effort and money. MK Dons would like not to have to carry out such an assessment. WE TOTALLY DISAGREE AND INSIST THAT AN ENVIRONMENTAL IMPACT ASSESSMENT IS ABSOLUTELY ESSENTIAL . We are clear that we do not want any development within this unspoilt area of natural beauty. But we can ensure they are required to carry out a full report prior to any planning application. 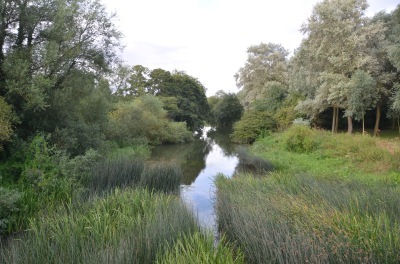 WE NEED YOUR SUPPORT TO ENSURE SOUTH NORTHANTS DISTRICT COUNCIL INSIST ON A FULL AND COMPLETE ENVIRONMENTAL IMPACT ASSESSMENT BEING CARRIED OUT BY INTER MK. WHAT SHOULD YOUR POSTING FOCUS ON? The concern that any development will have an adverse effect on the current floodplain with consequences not only in the immediate area, but potentially further afield. The immediate area has a constant history of flooding and a proposed development of this size and nature has obvious implications. The concern that any development will have on the many species of wildlife in the area, as well as the developers intention to change the use of the land which has stood as productive agricultural land for almost 100 years. The concern that any development will have on the long standing heritage of the area as well as the archaeological sites contained within and nearby to the proposed development site. The current scheme assumes the artificially tiering of the current landscape over an area which is known to contain even more evidence of historical sites. The concern over the level of noise that will be generated by training over 17 pitches, which could adversely affect the lives of nearby residents of Cosgrove, Old Stratford and Wolverton Mill. Light Pollution - floodlights, car park, hotel and academy buildings. The concern that the current scheme demands a huge amount of artificial lighting for pitches ( floodlights ) the hotel, the academy building, car parks, and ancillary buildings, all having an adverse effect on the natural environment of the area as well as the local community. The concern that any development will increase dramatically a) the overall amount of traffic within the local area and b) given the current scheme requires not only a right turn across the busy A508, but now also a right turn across the village road, an increased danger of accident and injury. 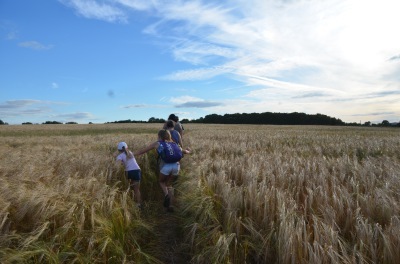 South Northants District Council have put a deadline of Friday June 17th for receipt of public comment, we appreciate your continued support as we continue our fight to protect a valued and treasured location within our local communities.